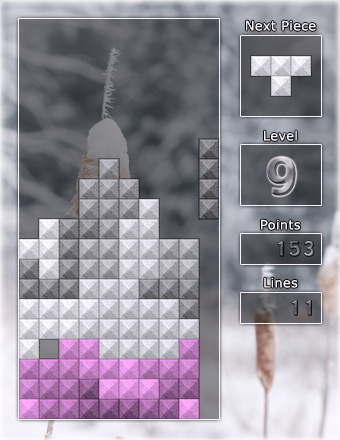 Sporktris is a clone of Tetris-clones. It doesn't add anything new to the gameplay, it simply tries to do all the important things well. Sporktris is written in C++, using SDL for graphics and input (for easy portability). It requires SDL, SDL_image and SDL_ttf to build. Sporktris is Free Software released under the GPL. Donations are totally unexpected, but greatly appreciated.